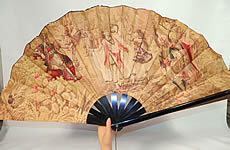 This Victorian era antique Ottoman large chintz figural belly dancer harem embroidered fan dates from 1890. 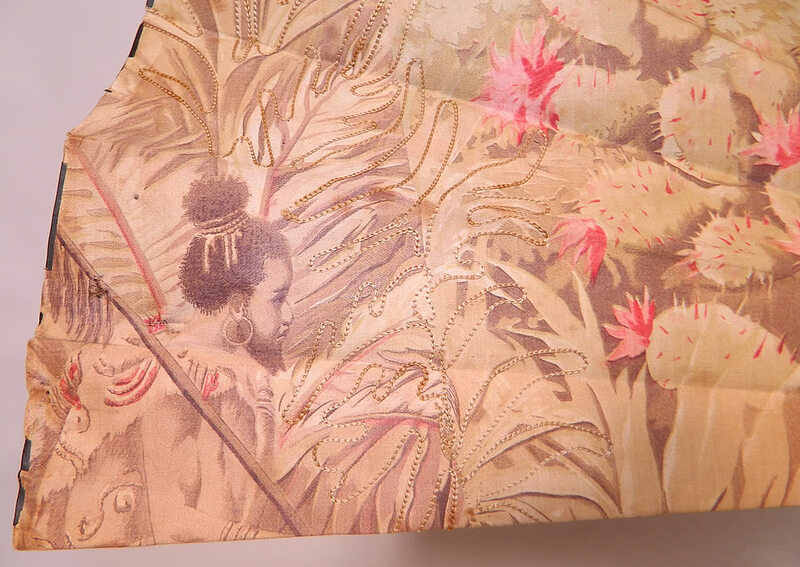 It is made of a muted sepia color chintz fabric, with red highlights, figural scenes of North Africa, belly dancers, solider's, sultans, harem, African indigenous tribal people, horses and cactus. There are gold metallic thread chain stitch embroidered decorative outlining details. 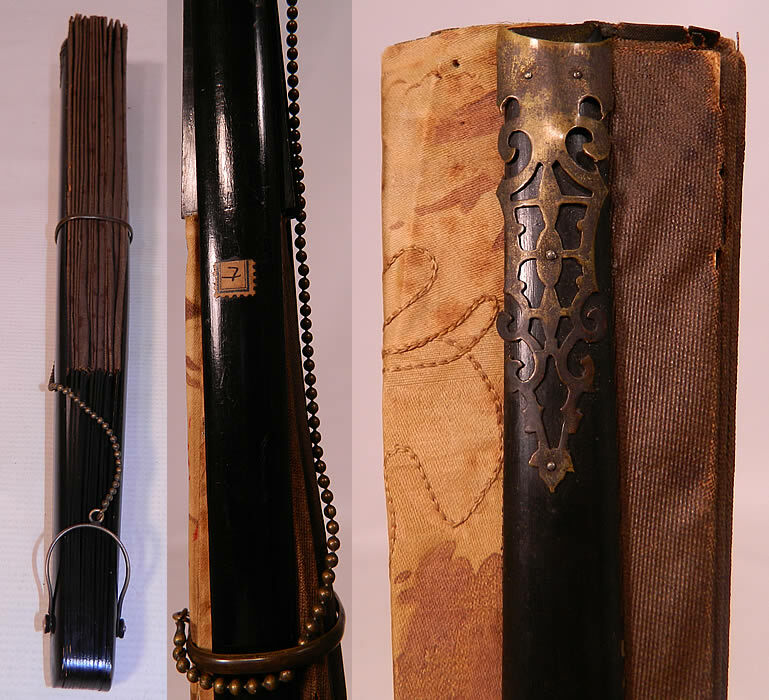 There is a black ebony wood handle with a filigree cutwork brass trim hardware top and loop at bottom with chain link strap ring closure. 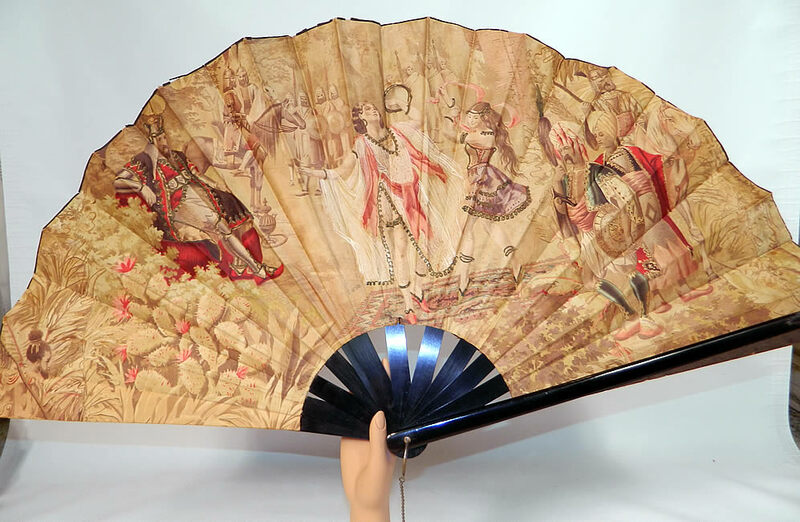 This large oversized fabulous fan is backed in a brown cotton fabric and was likely a souvenir piece. 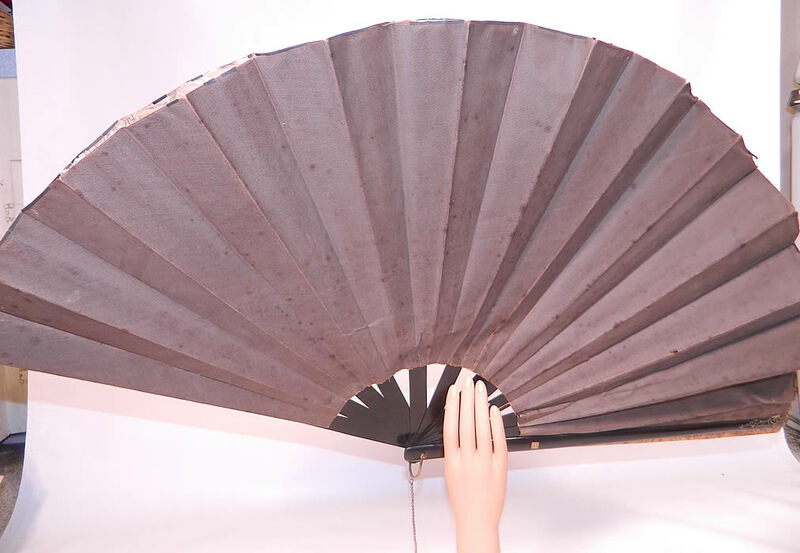 The fan measures 19 inches long and 50 inches wide when opened. 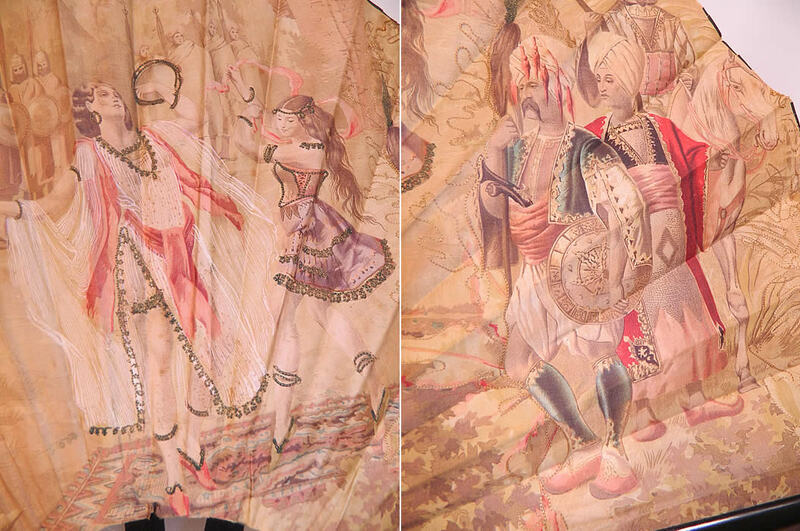 It is in good condition, with only some small age spot stains on the backing and some separation along the top edging. 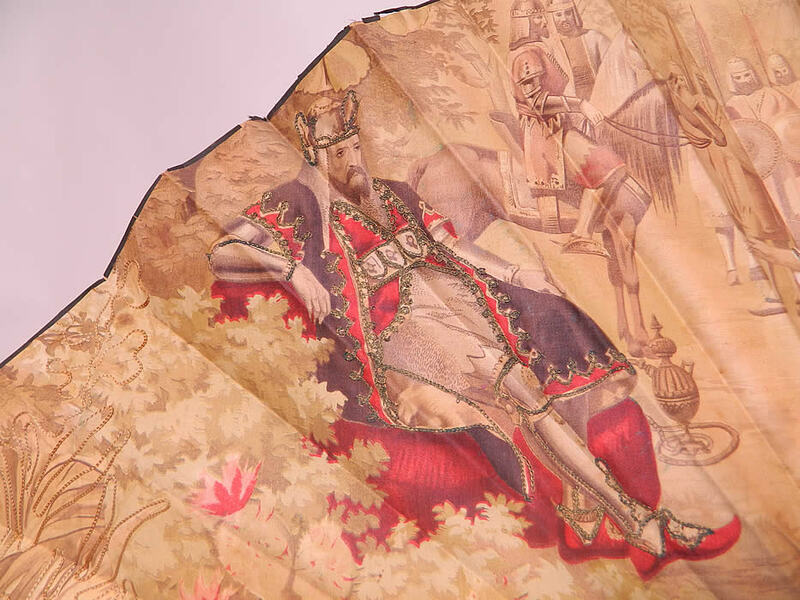 This is truly a rare and unique piece of Ottoman textile art!